AI, machine learning, and deep learning are more than just key words. For content management, these technologies represent new features that will be commonplace in the near future. 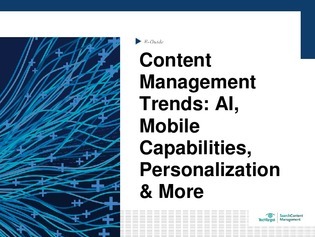 Download this expert guide to learn about 5 content management systems trends that will help organizations contend with the digital deluge.